Trail Update: Currently status of trails are CLOSED FOR SUMMER. Trail Work: If you have a concern or suggestion for trail reroute contact club officer or club trail boss. Community: Despite a season of peaks and valleys on snowfall it was great to see our club events well attended, thank you volunteers and party planners! Please respect landowners and club officials and stay off the EZ Riders trail system. 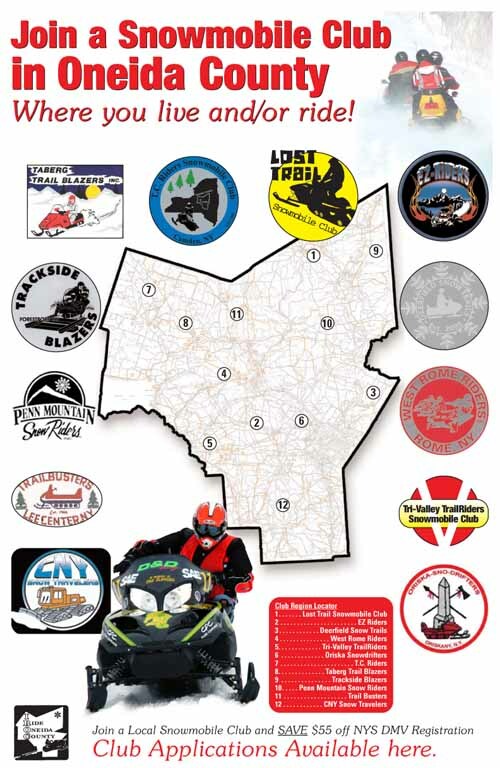 ***ATVs are not allowed on NYS or EZ Riders snowmobile trails and will be ticketed by New York Law Enforcement. Monitor EZ Riders facebook page for continual updates from club officers and members. It's important to join a club despite decision to register sleds or amount of snowfall. The expenses and labor hours to prep trails does not diminish. Livelyhood for next season depends on everyones support. Everyone's help is appreciated, our club is volunteers working with private land owners. 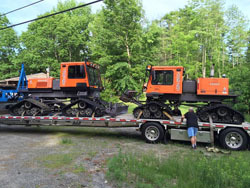 "Please stay on the trail or stay home these trails are a privilege they run on private properties"
Please be sure to yield as grooming drags are full of snow and tractors are working hard, give the volunteers a "wave of thanks" in appreciation. Ride Safe! 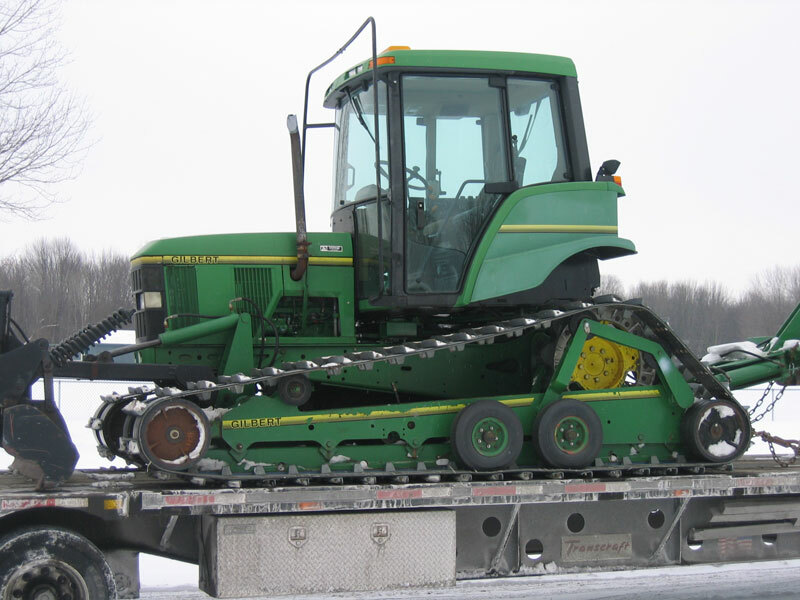 Above picture is our JD 6200 featuring a 4cyl Turbo Diesel with Powershift transmission mounted on a Gilbert grooming conversion kit manufactured in Canada. JOIN US FOR CLUB RIDES AND FUNDRAISERS! Registration renewals will arrive in the mail during August 2018. 3 Ways to Renew your club membership or join for the first time. First, Choose membership on the right column and print your EZ Riders membership form, complete information and mail to address on the bottom of the application. You will then be mailed the voucher to include with registration renewal by mail or brought directly to DMV. Second, members will soon recieve a renewal in the mail of the same application on this website, same instructions apply, complete and mail back to club. 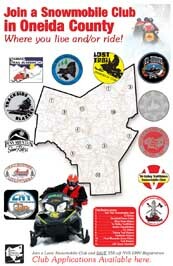 Third, use your creditcard and visit NYSSA website at www.nyssnowassoc.org, you can click on "Join a club online" Click on member clubs, choose EZ Riders from drop down menu or by choosing Oneida county then the EZ Riders. Complete application and print the voucher from your computer, mail with renewal registration or bring to DMV with $45 fee. 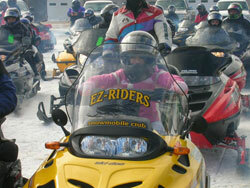 Get involved with fundraising with EZ Riders. Simply attend on of our monthly meeting and talk to any of our officiers, they will glady see if we can accommodate your idea. Club Membership April 11th, 7:30PM at Westmoreland FireHouse Westmoreland NY- All membership encouraged to attend- 7:30PM.. Meetings typically 1hr in length and held 2nd Thursday of each Month until trails close in April..
Take a friend Snowmobiling: What a great idea for those looking for good time. Annual Poker Run, February 23rd. : This year participants can start visiting and collecting stamps from sponsors on Monday 18th to Saturday 23rd meet at Westmoreland Golf Club at 6PM on Saturday 23 to enter drawing and gather with members and friends..
Club Membership Meetings, Jan 9th- Club monthly meeting, all membership encouraged to attend- 7:30PM at Westmoreland Town Hall for 2013-2014 season. Meetings typically 1hr in length and continue 2nd Thursday of each Month until trails close in April.